Makena Resort, South Golf Course Hole 4: This downhill par four had stunning views of the Pacific and Molokini, but the player could not get distracted as the lake came into play on both the tee shot and the approach. 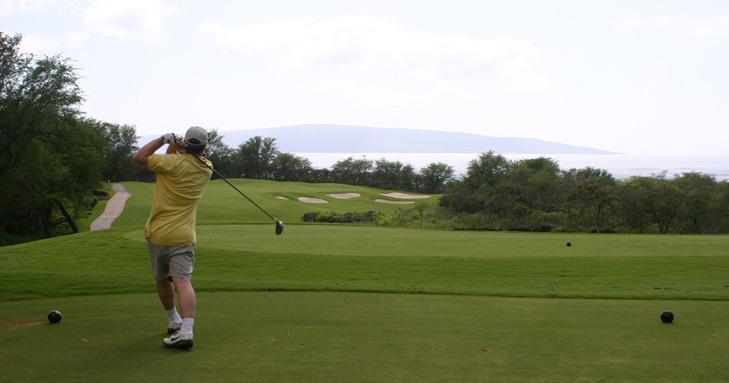 Makena Resort, South Golf Course Hole 7: This par five was a masterpiece of hillside golf. From the tee, there was a series of cross-bunkers that could be cleared, but at a farther distance, the farther right the shot goes. Of course, the hole was a dogleg right. From the landing area the hole plummeted down towards Molokini and provided a breathtaking view and grandeur similar to that found on the Plantation Course in Kapalua. It was also 600 yards from start to finish, so it had to be played solidly. 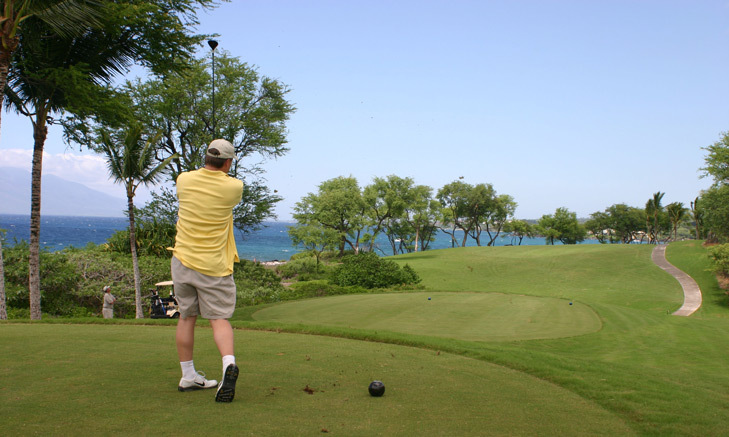 Makena Resort, South Golf Course Hole 10: There aren’t many golf holes on this earth that were as visually pleasing from the tee as the par 5 tenth hole at Makena South. With a lake right on the drive and left on the second and third shots, the vibrant green fairway seemed to wind its way between the blue hazards as it headed towards the Pacific. However, the true greatness of the hole lied in the fact that it was downhill and reachable in two, which gave the golfer the hope (although possibly a false hope) of making birdie or better. Makena Resort, South Golf Course Hole 13: This dinky par 3 was not as easy as the scorecard read as the lake fronting the green snuggled right up to the tricky putting surface. 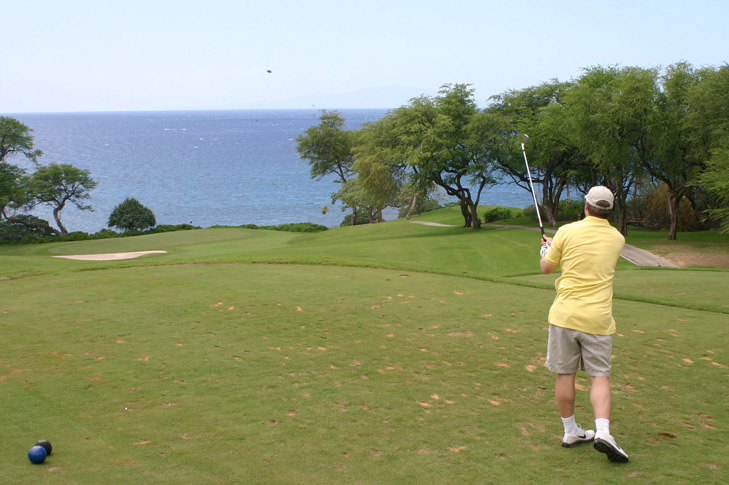 Makena Resort, South Golf Course Hole 15: This downhill one-shot gem providee the golfer with a very close look at the Pacific. Any shot that went long gave that player a much closer than wanted look, and a definite penalty. With the wind in the players face, the distance was tough to judge. Makena Resort, South Golf Course Hole 16: While the player could theoretically go too far left into the Pacific on this hole, it would have taken a horrible golf shot. This par four was not terribly difficult and it was actually the right side of the hole that presented the golfer with most of the trouble. The views from tee to green were fantastic. 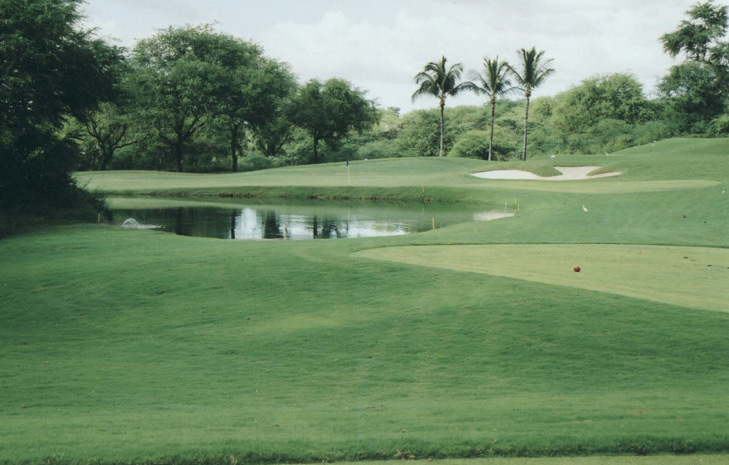 More Maui Golf Course Reviews.